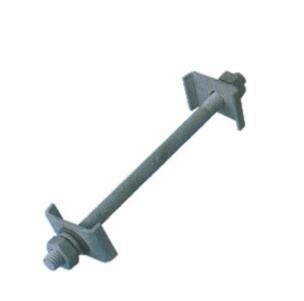 Product categories of MJG Spcaer For Rectangular Bar, we are specialized manufacturers from China, Mjg Spcaer For Rectangular Bar, Mjg Spacer suppliers/factory, wholesale high-quality products of Mjg Type Spacer For Rectangular Bar R & D and manufacturing, we have the perfect after-sales service and technical support. Look forward to your cooperation! 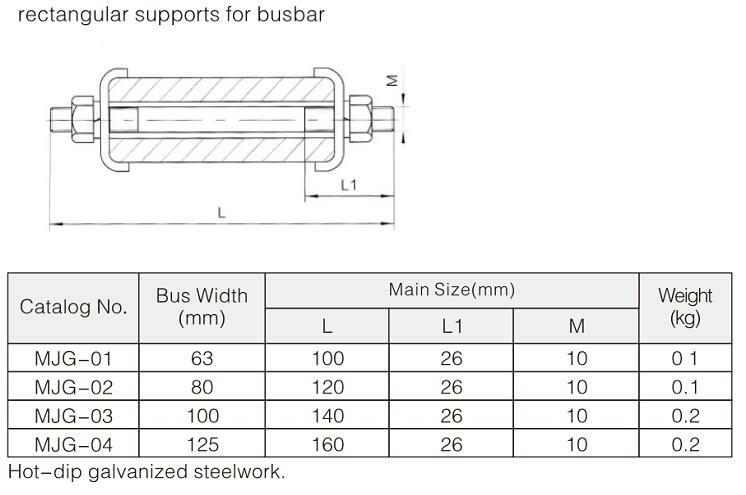 Spcaer For Rectangular Bar is used to fix or hang bus-bars on insulators at the substation, including rectangular channel, tube bus and cable supports in accordance with bus type. Visible corona for system voltage up to 330kV or higher, test voltage should be 1.05 of the max, operating voltage of the system.